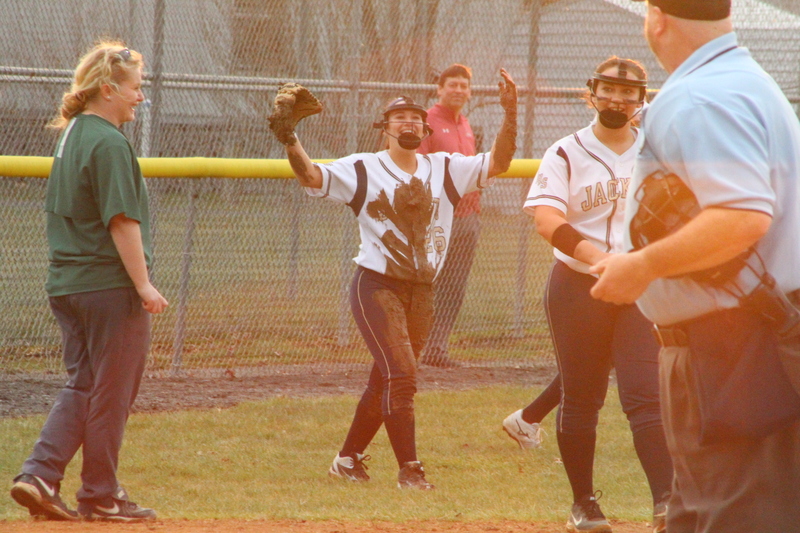 After dealing with days of rain, the Lady Yellow Jackets navigated through the mud to a 4-1 victory over East Hardy in the Hardy County Softball Showdown on Thursday night at Sager Field. “Hanna [Carlson] did an awesome job pitching. We need to score a lot more than three runs in the first inning. We played pretty solid defense and every game we’ve concentrated on making little things better. 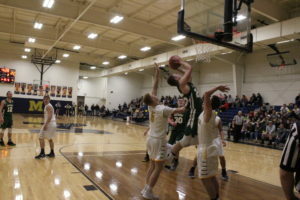 Hopefully we’ll continue to do that throughout the season,” Moorefield Coach Tammie Ayers remarked. Moorefield pitcher Hanna Carlson opened the game by forcing a pop-up off the bat of East Hardy’s Lexi Strawderman and third baseman Macie Zirk made the catch near the dugout. East Hardy’s Julia Hahn notched a single directed over to shortstop Rebekah Markwood and advanced on a high errant pickoff throw by catcher Alyson Simmons. Moorefield first baseman Alyssa Vetter caught a pop-up by East Hardy’s Skye Metzer as Hahn remained at second base. Lady Cougars batter Brooke Miller ripped an RBI double into left center field for a 1-nil edge and was stranded on a pop-up hit by Leanna Basye. East Hardy pitcher Emma Baker nearly had an out recorded on a diving play by catcher Skye Metzer, but the ball was just out of reach off the bat of Moorefield leadoff batter Rebekah Markwood. Markwood took a full-count pitch and lifted the ball into center field where it was caught by Lexi Strawderman. “Our defense was pretty solid today. There were a few little hiccups here and there, but nothing that cost us too much. 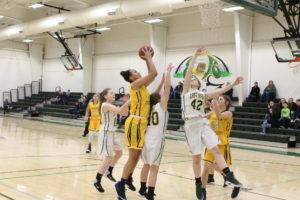 Our defense did really well,” East Hardy Coach Ashley Taylor commented. A single by Emma Baker into center field gave the Lady Yellow Jackets a base runner. Moorefield’s Remington Hinkle garnered an RBI double tying the game as the ball landed near left field fence. Anna Riggleman knocked a double into the left center field gap as the Lady Yellow put the lead changing runners in position. Moorefield’s Tori Humphries sliced a two-run producing single into left field for a 3-1 advantage. Vetter and Carlson flew out to retire the side. In the second inning, Carlson put the Lady Cougars down in order by sandwiching two strikeouts to Baker and Rebecca Whetzel around a Jessica Smith fly ball to right field caught by Makaleigh Snyder. “We’re working really hard hitting our spots and she gets better every game. 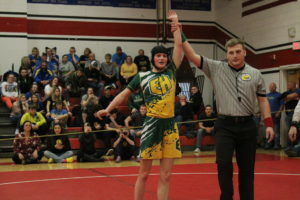 She did much better and I am really proud of her maturity, because she is finally starting to see that hitting those spots can really set down a batter,” Coach Ayers noted.